Every time I am researching writing programs to use with the kids, the first program recommended to me is The Institute for Excellence in Writing (IEW). People talk about it like it is the Holy Grail of Homeschool Writing programs. It’s supposed to be deep, encouraging, effective, and easy. I will admit, I was super skeptical that any program could live up to this hype. After using The Institute for Excellence in Writing’s Teaching Writing with Structure and Style parent seminar and the Student Writing Intensive Level A for the last 6 weeks, I feel like I finally understand why people are so excited about this program. The TWSS is the most important product in The Institute for Excellence in Writing’s (IEW) line up of products, because it is the core of all their writing programs. 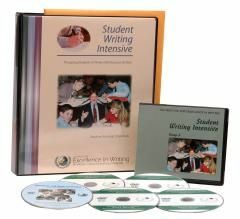 It is a 10 hour seminar on DVD designed to teach you, the parent, how to teach writing. The DVD’s come with a workbook to help you follow along with the DVDs and includes student samples, lesson planning forms, and sample lessons. Unit 1 teaches note making and outlining. Kids are taught to identify key words and ideas from source documents, and learn to communicate information back using their own words. Unit 2 teaches how to summarize using notes and goes hand in hand with unit 1, teaching kids to write summaries of source documents in their own words. Unit 3 teaches stylistic technique. This is where “dress ups” come in. Kids learn to use better words that more correct and utilize a better, more interesting grammatical structure with their sentences. IEW provides a formula for kids to work with until they find their own footing with “dress ups” and find their own voice and style. Unit 4 teaches summarizing references. This unit teaches kids to do research on a topic and use that information in writing reports. Unit 5 teaches writing from pictures. This unit helps students learn to sequence events, and tie together introductions and conclusions. Unit 6 teaches library research reports. This expands on information learned in unit 4, which will help the child use more sources from the library in their research and writing. Unit 7 teaches creative writing. Creative writing has no source other than the child’s ideas, and this unit helps refine and organize their thoughts. Unit 8 teaches essay writing. This is a standard 5 paragraph essay, with guidance on other formats, which will help students expanding their writing. Unit 8 is intended to serve as a basis for high school and college composition. Unit 9 teaches critiques and is a framework for literary analysis. 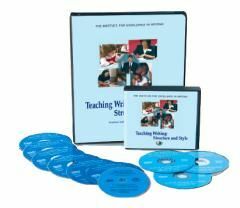 Also included with the TWSS Unit DVDs is a Tips and Tricks DVD to help you implement the program and overcome common pitfalls, like getting stuck with units 1&2 instead of progressing along with your students writing. I feel like a better, more capable teacher because of the program. I could feel my heart lifting when Andrew Pudewa said things like “sometimes the training stage is awkward and that’s okay.” It’s wonderful to hear someone say it’s normal to make mistakes, and tell me what freedom I should allow with my child’s writing. 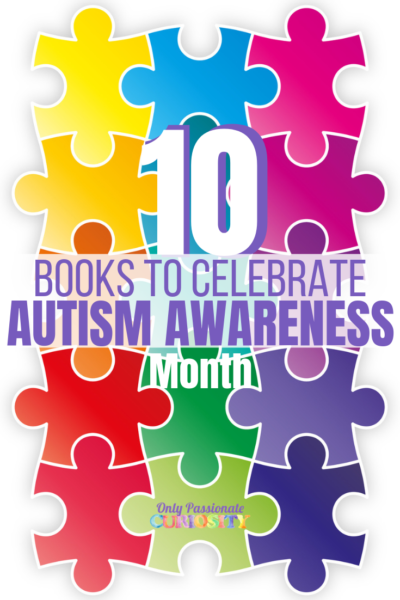 This program taught me how to help my child, and will benefit us for years to come. I will admit, it really bothers me that this wonderful writing program is not written down. I am not a TV watcher. I can’t sit through a two hour movie with handsome actors and plot twists and fancy effects. 10 hours with a DVD is a really long time. I did watch it, but I had to do it in really small bites so I wouldn’t crawl out my skin. I would pay good money to get well written, organized, user friendly book version of the TWSS. 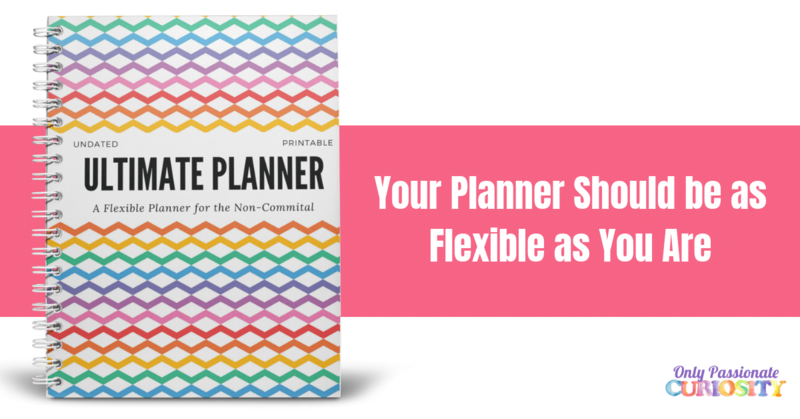 I was hoping the workbook would be this alternative, but I struggled with it because it’s formatted like reading someone else’s notes. I preferred using it only as a references when needed for samples, and instead took my own notes on separate paper. That being said, I did watch the whole shebang, and I took really, really detailed notes, which I can now line up with the scenes from the DVD and easily find what I need when I want to see a part of it again. I struggled a little with all the catch phrases, “dress ups” and “cinchers” and so on, but with good notes, I was able to sort everything out and finally feel like I “get it.” I expect that I will need to refer back to this program again and again as the kid’s age and my expectations change. Personally, writing comes easy to me, so I struggle with the idea of needing a detailed program to teach my kids to write. On the other hand, my kids are not yet natural writers, and benefit from this kind of structure. I feel so much better after watching the TWSS because I understand now that the formulas, checklists and outlines given are not supposed to be the end-all-be-all of your child’s writing, but instead are building blocks for them to start with while they develop their own voice. The SWI-A is a class taught to your student, by Mr. Pudewa, using the techniques from the TWSS. SWI-A is directed to kids in grades 3-5; and covers summaries, “dress ups” (stylistic technique), reference summaries, paragraph structure and some creative writing. Your child will watch a lesson and do an assignment with the class, and then you will have them complete other writing assignments without the DVD. Every two weeks, a new lesson on DVD is taught with new material and techniques. The SWI-A includes all the source material, teachers schedules, and notes to help you use the program successfully. You can use the student writing intensive independently, but it is strongly recommended to use it with the support of the TWSS. Bug loved this program. He must see the same spark in Mr. Pudewa that I did, because he loved watching his “class” and was happy to do the lessons along with the students on the DVD. Bug found him to be funny, and interesting, and loved to remind me that Mr. Pudewa said it was okay if his work was a little messy, and re-enacted Mr. Pudewa pretending to bite the eraser off a pencil many times. Bug did this class on the laptop, with the computer to the side as he worked on his writing. He was able to pause it when he needed to so he never felt rushed for time. I kept notes so I knew what time we stopped the lesson on the DVD, so when I needed to, we could break up the (approx.) 45 minute lesson into smaller sessions when I needed to. I think Mr. Pudewa’s class appealed to Bug so much because it gave him permission to try, and not be perfect. Bug really struggles with wanting to do everything “just so” and things like spelling errors and mistakes really get under his skin. In this class, instruction was given in small doses, and Bug never felt left behind or overwhelmed. The writing assignments were interesting to Bug and I found them to be very age appropriate. Topics included snakes, bugs and other animals, history topics, and stories that were already well loved in our home. As a rough and tumble little boy, Bug was thrilled the topics were interesting and fun. 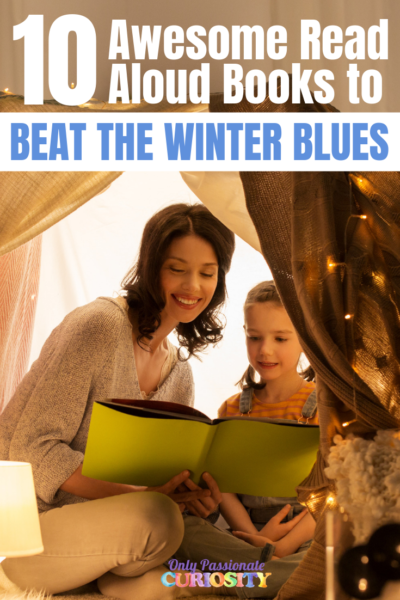 No boring writing assignments here! His only complaint was that he didn’t get to watch a lesson with Mr. Pudewa every time we sat down to do writing. I felt empowered, since I had the teacher support along with the TWSS, to tweak the pace of this program a little to ensure my young-for-grade-level student wouldn’t be overwhelmed or feel left behind. I was able to select appropriate source documents and expand on the lessons without pushing Bug to go on to more difficult assignments. This is the beauty in using the bundle of the SWI-A along with the TWSS. I knew what was coming next on the SWI-A, and knew what I could do differently to adapt the program to my own child’s needs. The SWI spoke to Bug and gave him confidence, and the TWSS spoke to me, and gave me the confidence and tools to not only help teach the lesson, but to understand the process and evaluate Bug’s progress. I think had I not had the support of the TWSS, I would have had an okay experience with the writing intensive, but it’s really the combination of the two that made a world of difference in my home. This company has an amazing return policy. If the product doesn’t work for you, you can return it for any reason, at any time for a full refund. I’ve used this process with them in the past, and was so amazed with their quick and friendly service. This is one company where I really encourage people to buy new rather than used because purchasing new is a guaranteed purchase, and I love to support a company that stands behind their product so strongly. 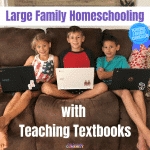 I strongly recommend Teaching Writing with Structure and Style to all homeschool parents- I think everyone would benefit from seeing the DVD seminar. This program takes you step by step through different types of writing and has enough information and resources in it that it could be used as a full writing program for all your students for their entire education. For parents who want a little more guidance, the Student Writing Intensive (and follow up continuation courses) will do all the footwork for you in selecting assignments and teaching directly to the student. This program is wonderful. Is your child a little old for the SWI-A? IEW also offers B and C level Student Writing Intensives which cover all grades through High School. These levels were also reviewed by the Schoolhouse Review Crew. Click the banner below to read these reviews and see if the program would be a good fit for your child! You said you took very detailed note, are these notes you would be willing to share? I think I could greatly benifit from the teaching dvd but having notes along side the dvd would be great. Would you be willing to share? I apologize- I feel that sharing them would be a violation of the company’s copyright. Are you familiar with programs like WWE and Bravewriter? I am wondering if TWSS would be good “teacher training” even if I don’t plan to use the student intensives DVDs. It’s a lot of money, but if the TWSS training is an investment for the next 12 years, it’s worth it! Monica, Yes… LOL I have both of those programs. I do feel like TWSS is worth it no matter what product you use. It covers so much ground and helps you trouble shoot and come up the a process to teach all sorts of things. It would help support you in using ANY writing program. Or, used alone without any of the SWI or other writing programs. Love your review! We loved this program too! !